WARSAW — A Claypool man who police say battered a woman pregnant with his child will serve a year on probation for the offense. Jordan Alexander Scott, 27, 5514 West CR 500S, Claypool, was initially charged with battery resulting in bodily injury to a pregnant woman, a level 5 felony. On Dec. 6, 2018, Scott pleaded guilty to battery, a level 6 felony. He appeared in Kosciusko County Superior Court 1 on Thursday, Feb. 7, for sentencing. On Jan. 11, 2017, sheriff’s deputies arrived at Kosciusko Community Hospital to investigate a domestic battery. The victim, a woman who told police she was 14 and a half weeks pregnant, told police that Scott had picked her up after she had been fired from her job and that when she received a text message from a co-worker, Scott became angry and began hitting her in the face. She told police that he demanded to see her phone and when she refused to give it to him, the assault began. At the hospital, police reported witnessing dried blood on the victim’s nose and mouth area. Police were told that the victim’s father had driven her to the hospital. The victim told police Scott knew she was pregnant when he assaulted her. 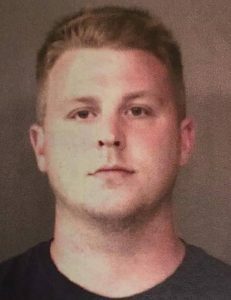 Cates ordered Scott to serve one year in the Kosciusko County Jail and suspended that term in favor of probation. He was given credit for three days of jail time already served. In 2013, Scott was arrested after police say he became jealous of his girlfriend and another man and pistol-whipped the man, causing bodily injury.